The Advertising Federation of Minnesota (Ad Fed) is a non-profit, professional trade association that has served the Minnesota advertising community including agencies, advertisers, suppliers, and students, for more than 110 years. Ad Fed is a part of The American Advertising Federation (AAF), the nation’s oldest national advertising trade association. Ad Fed members volunteer their time and talents to plan and execute events that are overseen by a board of directors. 3 year Impact Hub member and advocate, Cogent Consulting, founded by Susan Hammel, CFA, helps mission driven organizations o good well. orming a bridge between philanthropy and finance, Cogent connects people creating social and environmental impact in their communities. Working with both investors and social entrepreneurs, Cogent offers impact investing education, portfolio design, due diligence and sustainability strategies. Drewes Law's team of attorneys and staff possess an undying work ethic in pursuit of truth and justice. If you are facing life-changing real estate problems, you need that level of advocacy from a team with unwavering dedication to their clients. The ClipDifferent Pro is a patent-pending, carefully engineered fingernail clipper that transforms this repetitive “task” into an easy experience. The safe fingernail slot prevents skin from coming into contact with the trimming mechanism (even those with full vision loss can use it safely). In addition, it catches the nail clippings in a drawer, eliminating the mess of this routine task. It’s also compact (3″ x 5″) and contains a rechargeable battery that can last months between charges. Empower immigrant, minority and indigenous leaders to fight poverty and injustices through small-scale, grassroots community efforts. Ecotone’s mission is to help clients scale their social and environmental impact by communicating impact value to stakeholders and investors. As one of the oldest neighborhoods in Minneapolis, Elliot Park seeks to bring people and resources together to preserve and promote the unique urban character of the historic Elliot Park Neighborhood. 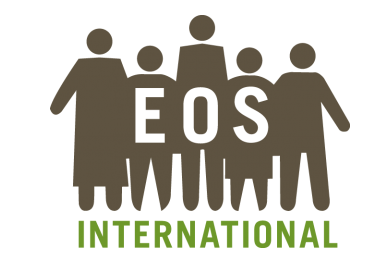 EOS International empowers rural families in Central America by providing simple, inexpensive solutions that improve health, generate income, and provide access to clean energy. EOS promotes, manufactures, installs, tracks, and educates its users on life-changing technology projects that create economic opportunities to empower individuals to break the cycle of poverty and improve their quality of life. Find Your Power expands internet access for underrepresented women worldwide to connect them with resources that further education, advocacy, community, and employment. Founded in 2000 in Minneapolis, FINNEGANS is a craft brewer and self-sustaining social enterprise that believes in building strong communities by aspiring to alleviate hunger in every market where FINNEGANS is sold. The FINNEGANS Community Fund (501c3) serves to alleviate hunger through sustainable, scalable and innovative methods and partnerships and serve as a catalyst for social entrepreneurs in order to charitably advance social purpose. GogyUp ELS is a standalone, human resource tool for on-boarding, training, and up-skilling employees, regardless of their level of literacy. Designed over 12 months and hand-in-hand with adult ex-offenders and new Americans, GogyUp provides employees with just-in-time, personalized reading assistance for any word in any document and immediate translates commonly used English words. Inspire U.S. s a 501(c)3 nonprofit organization that supports high schools in planning and conducting student peer-to-peer voter registration activities. They guide them to engage with elected officials at the local, state and national level. To be a social impact leader delivering the ingredients needed to put an end to dating and domestic violence. Host Homes connect young people who lack stable housing with community members who provide space in their homes and a reliable caring presence. This cost-effective housing option works in low-density rural and tribal settings, as well as in urban and suburban locales. But most important, it addresses the #1 priority for unaccompanied youth: Getting connected to stable adults who can provide ongoing support! Mossier Social Action and Innovation Cente (Mossier) is a Minnesota based non-profit organization that provides technical assistance and financial support to LGBT entrepreneurs and health service organizations in the Global South. Move As One provides wholistic consulting services that empower leaders and teams to clarify direction and meet their highest goals. Often called a "transformation agent," Move As One founder Julie Delene aligns leaders and teams from the inside out using the 5 Mindful Moves™. Partners in Food Solution, an independent nonprofit organization, is working to strengthen food security, improve nutrition and increase economic development across Africa by expanding and increasing the competitiveness of the food processing sector. We link corporate volunteers from our consortium of world-class food companies with promising entrepreneurs in nine African countries. Paula Forbes Coach | Facilitator | Lawyer | Presenter hether it be facilitating a community engagement process, coaching organizations on restorative resolutions practices, or leading the way in creating systems change, Paula is dedicated to creating healthy work, education and community environments. R2H is an organization devoted to empowering and engaging people around the world through the promotion of four primary actions. STAND UP against hatred. REVEAL who you are and what you believe. HEAL selflessly. REFUSE to resign. Seiche is team of creative collaborators, guided by a shared belief that solutions to complex challenges emerge from deep collaboration. That’s why we bring together – and work with – diverse networks of partners for every project. Software for Good’s experienced team of software engineers, designers, and digital strategists has paired cause with craft — developing web and mobile applications for organizations working toward positive environmental and social change. As one of the first Public Benefit Corporations in the state, SfG measures success against the Triple Bottom Line: People, Planet, Profit. North Star Solar Bears, LLC is a family owned and operated business specializing in custom solar frames and solar panel sales. We build our business on the belief that we have an obligation to sustain and protect our environment for future generations. We believe that one way of doing so is by going solar. At Perk: The Natural Beauty Lab, we are committed to providing you with the highest quality, natural ingredients. We are serious about sustainability, that's why every one of our products contains ingredients that we have pro-longed the life-cycle of. From coffee grounds to essential oils, no, it's not magic, it's the perk. The Sustainable Farming Associatio of Minnesota supports the development and enhancement of sustainable farming systems through farmer-to-farmer networking, innovation, demonstration, and education. Tech Dump, a division of Jobs Foundation, is a 501(c)(3) nonprofit providing job training and practical experience for adults facing barriers to employment that prepares them to be more valuable employees with an expanding future. True Voice Communications helps organizations and individuals showcase their best selves through strategic and authentic storytelling. A venture capital firm that provides seed capital and regulatory support to entrepreneurs shaping the future of cities – helping them grow into tomorrow’s most valued companies. We envision creating an entirely new category of flexible, below-market-rate investment capital that can be directed creatively to organizations across all sectors that are advancing charitable purposes. What started as a lunch conversation about the challenge of delivering creative, inspired engineering design eventually grew into an idea for a firm that stands out from the crowd, a firm headed by four experienced engineers with very different backgrounds and a common passion for efficiency and smart design. Warecorp is a web and software engineering company, led by Chris Dykstra, who comes with a long history of leadership in technology and impact entrepreneurship. As a part of the Social Venture Network, Chris builds mission-based culture within each company and client he leads including Drupal, Good Carts, and more. We Sparkle is a startup focused on leveraging technology to engage people in doing good. Right now, we are working on a tool that makes it easy for small businesses to give back to the community. Wiser Wolf helps forge the paths to bring people together from across sectors and generations to innovate and thrive. We have helped individuals and organizations take bold steps to create meaningful change in their own backyards and around the world. Wrfcoin (pronounced wharf-coin) is a cryptocurrency earned by doing what's right for the planet. Let's measure everything in the air, water, and soil. Youth Lens 360 provides superior visual communication and product marketing and branding services through the lens of youth ages 14 - 24. The company utilizes a unique curriculum to train and support the technical and entrepreneurial skills of youth in our community, giving them project based credit, experiential learning, after school enrichment, and entrepreneurial development.